Rule #3. 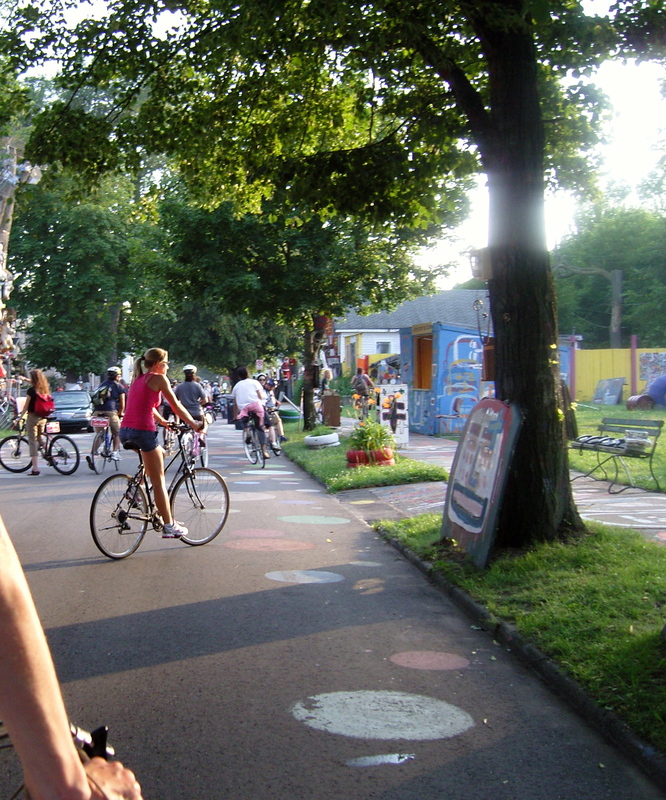 Know it is not a bike ride…its a social movement! What is it? Critical Mass! Where bikers get together to show what power we can be in numbers and take over the road, no stopping for lights, traffic or people crossing the street? OK well people normally just stay out of the way. The background is that it takes place in about 300 cities across the world on the last Friday of the month. 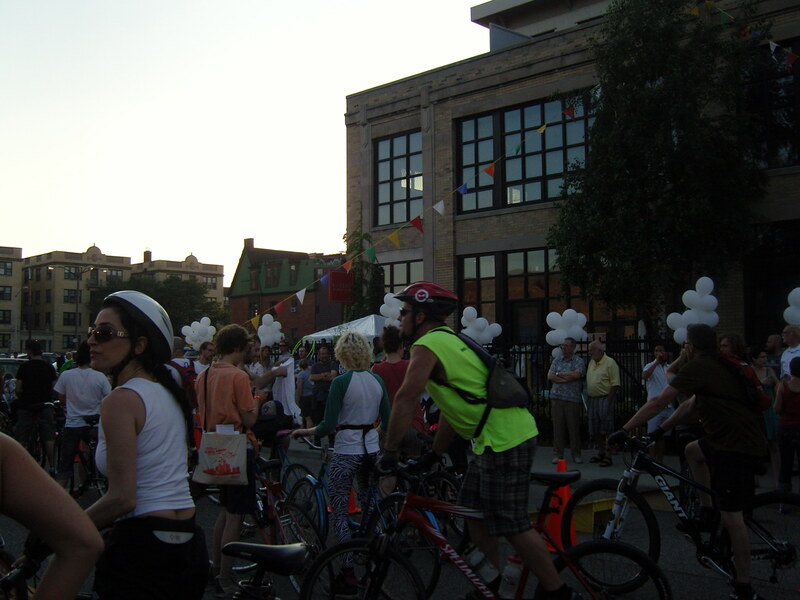 June 30th was the first time I rode critical mass. It was a group of around 300 people. 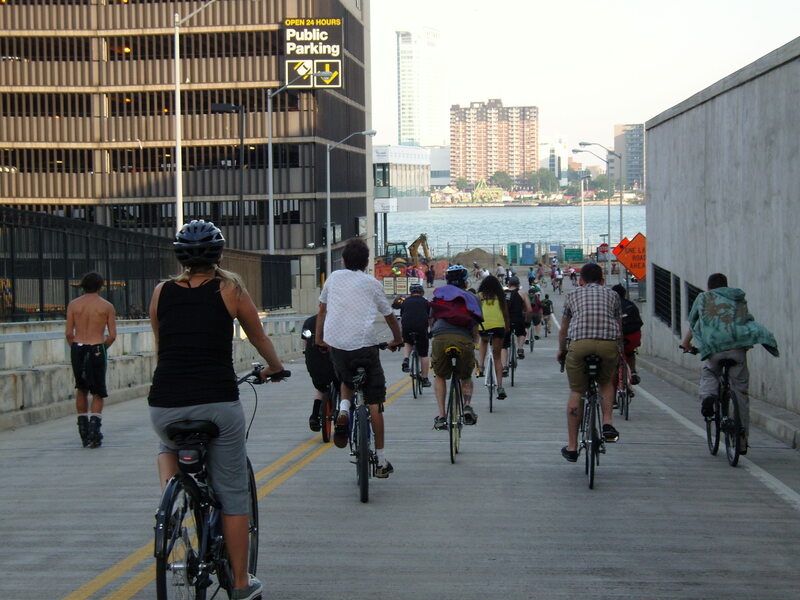 I hear that it was the largest group they have seen in awhile because the US Social Forum was being held in Detroit and since this is a social movement not just any ordinary bike ride we had a great group. I met a girl who rode her bike from Madison Wisconsin! Do you know how far that is? They squatted in abandon buildings along the way and slept in tents near the city with many others during the forum. 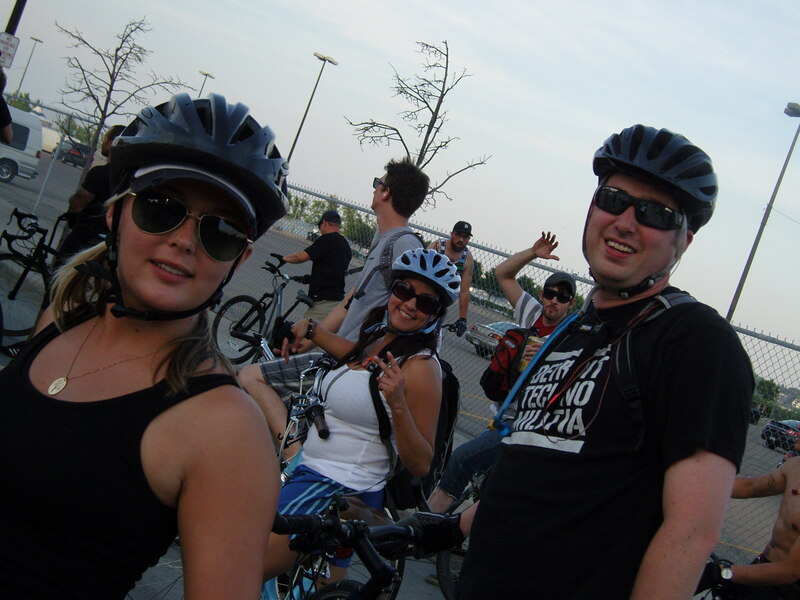 I admire that kind of spirit and I love to meet new people like we did during the ride. 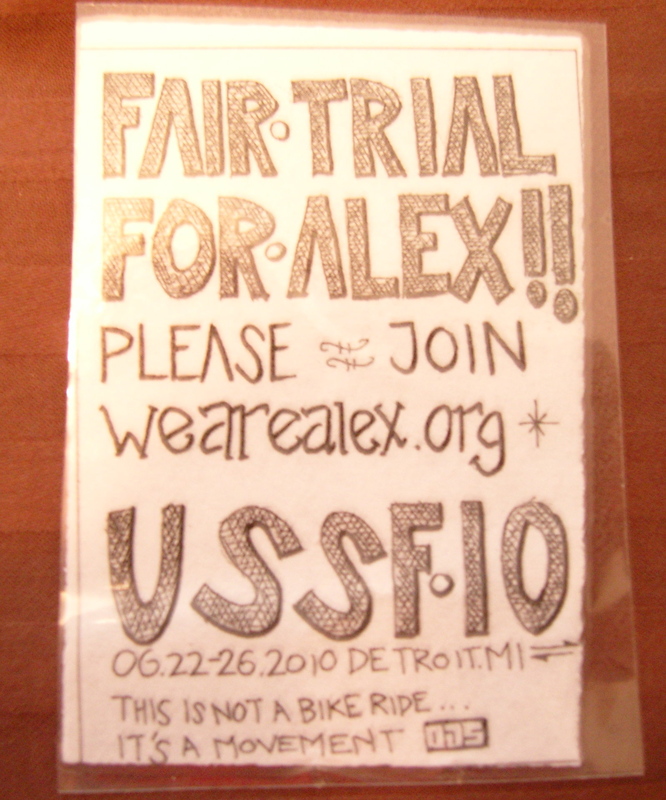 This ride was to bring awareness to the unfair trial of Alex Sanchez. I recall hearing about him briefly since I try to stay up on issues in the Latino community but didn’t remember the details. Now reading the website and articles brings awareness to not only what happened to Alex but to all the injustice that happens in the legal system and the under served communities in the US. Click on the link above to learn more about Alex Sanchez, the US social Forum and Critical Mass in the Detroit area. These Pics show how much fun we had and I encourage everyone to step out of their comfort zone and pedal for the movement! Look we are headed towards Canada!